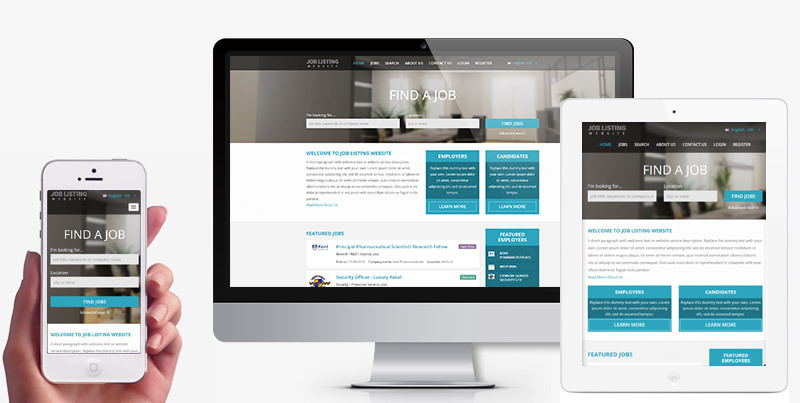 VEVS Job Portal Websites are mobile friendly, user freindly and SEO optimized. They are stylish and load fast. 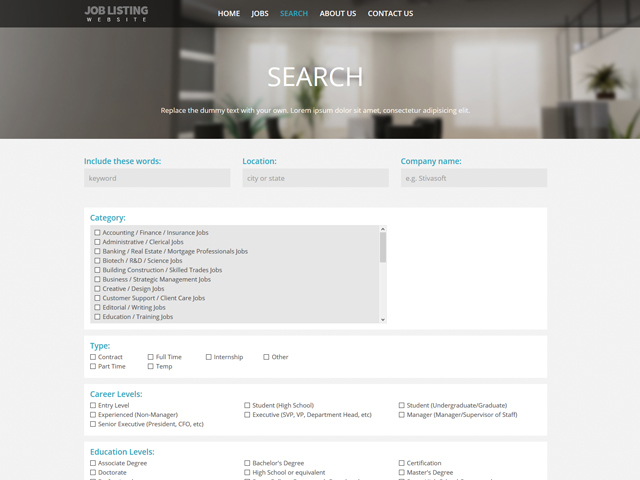 List all job offerings that you have and add a detailed description for each vacancy. Candidates can apply for a job online directly through your job website. 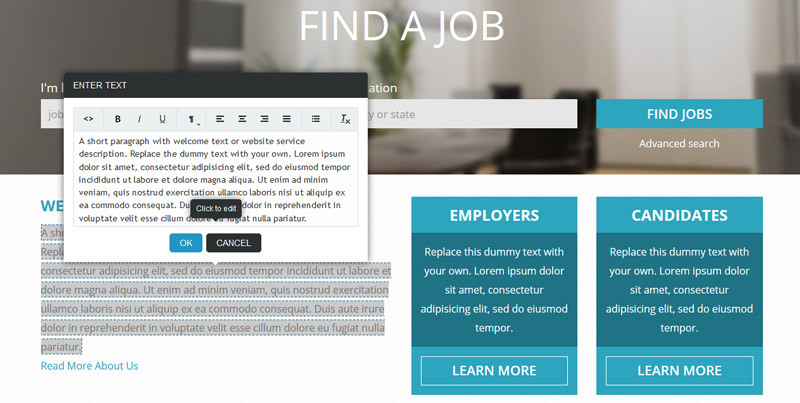 Website visitors can easily search for jobs by an advanced search functionality. 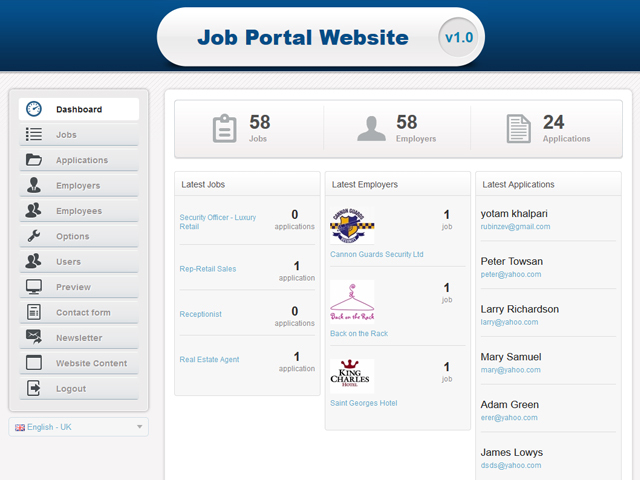 They can also filter results by multiple criteria so they narrow the job listings. 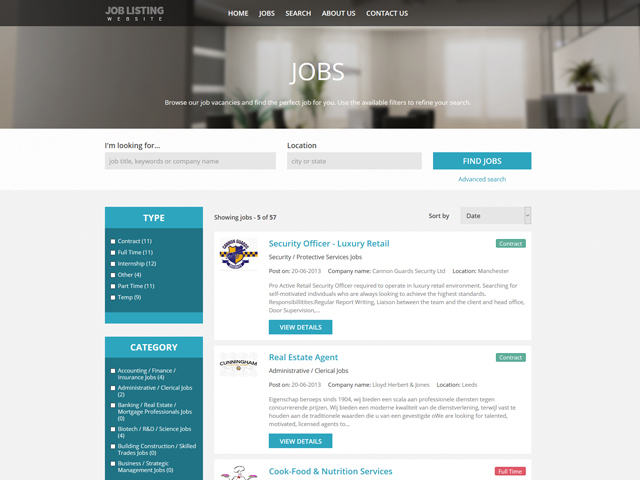 The built-in classifieds software enable the website administrators to easilay manage all job listingsand also add or edit job types, categories, employers’ and candidates’ profiles. With VEVS website builder you can manage the content of all website pages. An easy to use on page editor will help you place your content without a hassle.